WWE has always been in the business of making money first and creating quality content a distant second. On April 27th, WWE was paid roughly $40 million to hold a men’s only show in Saudi Arabia titled WWE Greatest Royal Rumble which saw a main event featuring a 50 man Royal Rumble style match with the winner receiving a trophy and championship belt. 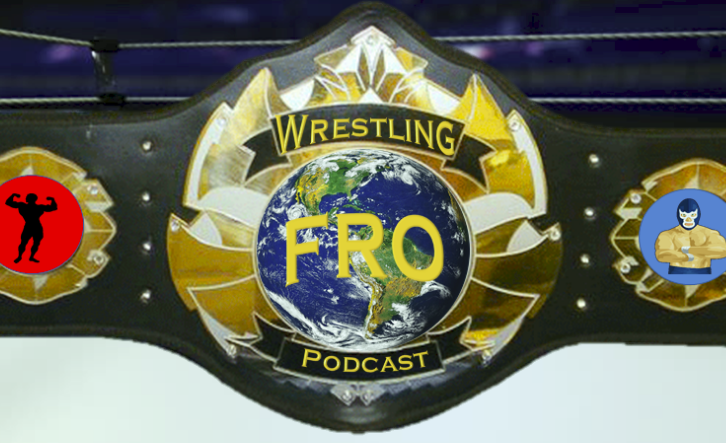 This show, despite being clouded in controversy due to its exclusion of women wrestlers, was considered a success if for no other reason but the incredible amount of revenue it brought the company. WWE has positioned themselves for a long term partnership with the Saudi government to bring sports entertainment to the region. WWE has profited, not only by the financial windfall of booking the show but also the increased revenue from merchandise sales and subscriber interest. This has been a crucial component in WWE reporting such huge earnings to their stockholders. To pull off this deal, it was requested that WWE book certain superstars from the 1990s Attitude Era for the event. Originally, they requested the Undertaker, Ultimate Warrior, and Yokozuna despite 2 of the 3 being deceased. In the end, the money was a huge motivation in bringing in surprise appearances by Chris Jericho, Rey Mysterio, and Hornswoggle. 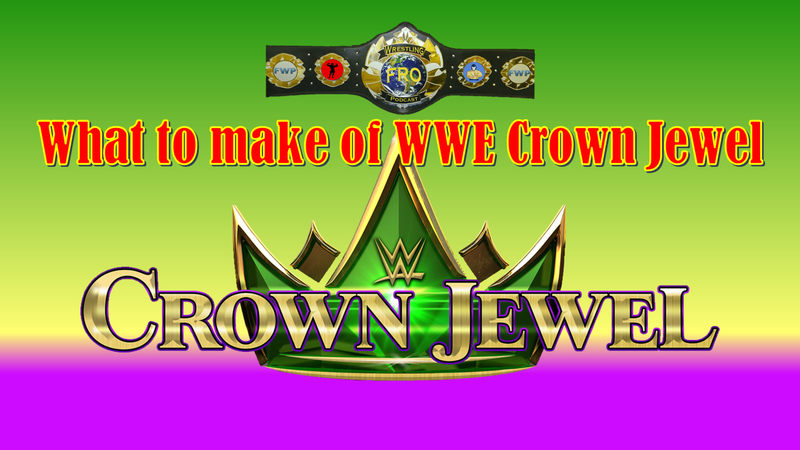 What will it take at Crown Jewel? The Crown Jewel Event will potentially be a bigger draw than the Greatest Royal Rumble. The stars and wallets have aligned resulting in the premature return of Brock Lesnar, another appearance by the Undertaker, dream matches including Daniel Bryan vs AJ Styles, and most of all, the return of Mr. WrestleMania, the Heartbreak Kid, HBK, Shawn Michaels and the reformation of the iconic group Degeneration X. With attractions like that, the show becomes must see programming. How to you appease with smart booking? A trap WWE needs to avoid is catering too much to the wishes of the Saudi influence. Let’s face it. A group that didn’t know that the Ultimate Warrior and Yokozuna had passed away probably isn’t on top of the latest wrestling storylines and more than likely knows little about how to plan a long term program. That being said, WWE does need to book a show that is exciting enough that fans from Saudi Arabia and the rest of the WWE Universe are drawn in. That requires some extremely creative booking. In the end, Shawn Michaels and Triple H will likely go over the Brothers of Destruction in their tag team battle. That or it will be a schmoz ending with no clear winner. The Universal Championship Match between Roman Reigns, Braun Strowman, and Brock Lesnar will be a physical beat down and hold the potential to shock people with a quality performance. The match fans should be concerned with is the WWE Championship Match between AJ Styles and Daniel Bryan. This match has Dream Match and Match of the Year written all over it. When you think about how important it could be you just know WWE will mess it up. I predict the Miz will interject himself into the match and cause a horrible ending. I am fine with that as this match belongs at WrestleMania. It belongs on the biggest stage as the final match on the card. Instead, it may open the show for all we know and it has the potential to be a huge disappointment. The biggest thing that may come from the show is the WWE World Cup to crown the “Best In The World”. With 8 participants in tournament style pairings, this could be where the show really blows people’s minds. John Cena, Kurt Angle, Jeff Hardy, Randy Orton and the rest of the field provide WWE creative with enough inconsequential matches that they could really book these matches any way they choose and if they had a focus on quality instead of money, they would do just that. We could see a classic match between John Cena and Randy Orton who have warred over the years. Rey Mysterio versus Finn Balor would be one for the Dream Match Gallery. Kurt Angle versus Samoa Joe in a WWE ring would be awesome as well. Time will tell but let us all hope WWE brings us a truly amazing WWE World Cup Tournament.